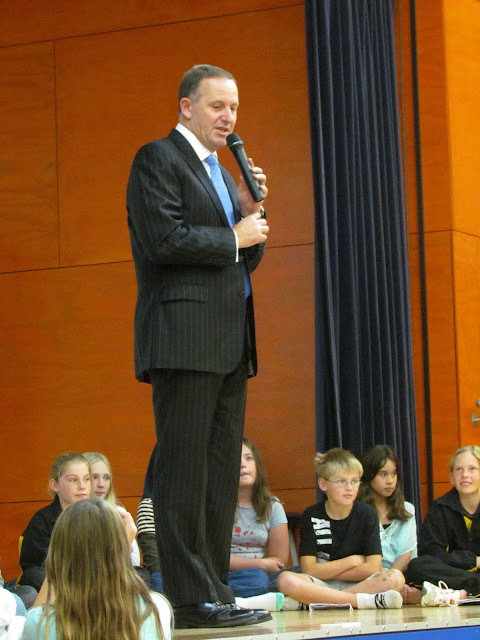 Today our school was lucky enough to have the Prime Minister, Mr John Key, visit our school! We had a special assembly for Mr Key. The Kapa Haka performed for him, we sang our school song and one of the Year 6 classes interviewed him. We liked hearing the answers to his questions and finding out some more about what he does in his job as Prime Minister. We think it sounds like a very busy job! Here are some of the photos from our exciting day. There will also be some more photos appearing on Mr Key's Facebook page soon. What an important visitor you had! It looks as though EHS gave Mr Key a warm welcome and showed him what amazing learners you all are!